Cool Clothes for Hot Women. How a sweaty sleepless night gave birth to an idea. The women in your life will thank you! ChiChi's Shirt is designed to help keep women cool and comfortable. Our shirt is made of soft moisture-absorbing fabric that pulls sweat away from your skin and dries quickly. 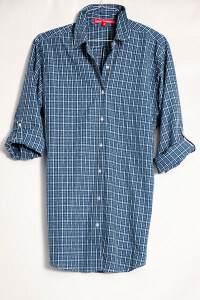 This keeps you cool and comfortable anytime you're wearing ChiChi's Shirt; whether in bed, on the run, or just relaxing. ChiChi's Shirt is a stylish, and versatile shirt that can be worn wherever, or whenever you want to be cool and comfortable. Hotter than ever…but now a lot more often. We don’t mean for you to wear it down the aisle, well you could. ChiChi's Shirt is perfect to wear while having your hair and makeup done. Why? It buttons down the front so you don’t have to lift it over your head when it's time to get into your dress. 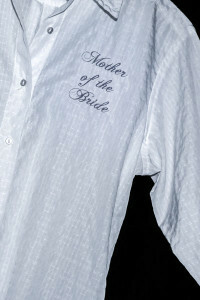 ChiChi's Shirt will also keep you cool while preparing for your Big Day! Put on ChiChi's Shirt with a pair of leggings, and you have a comfy great looking outfit. Why not personalize it with a monogram as gifts for your bridal party. You can do so easily in our online shop. 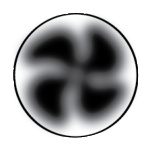 Get exclusive offers, news, and 10% for signing up!